Halloween may not have hit us yet, but it's never to early to start thinking about Christmas shopping. 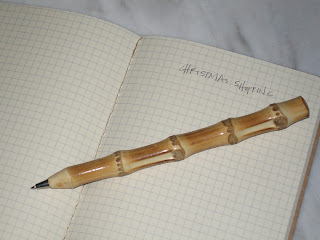 I remember having these bamboo pens sitting around the house when we were kids. Loved them then, love them now. Bought a bunch at William Wayne & Co. for $3.75 each.